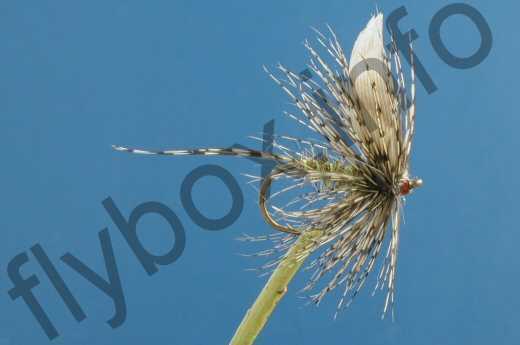 The March Brown has been a staunch pattern in fly boxes from the 1680s. Although primarily an early season favourite, is is also successful throughout the season. Hook : 10-14. Usually 12. Thread : Brown or yellow. Tail : Two fibres of partridge tail. Body : Copper coloured silk, dubbed with fur from a hare's ear and mixed with yellow mohair. Rib : Yellow tying silk. Hackle, legs : Brown partridge. The wings can be from the inner quill feather of a hen pheasant's wing. Currently there are no comments about the March Brown Male fly pattern from other fly fishermen yet.